Sunday August 26, 2018 - Deputy President William Ruto has reportedly mooted a plan to remove David Murathe as Jubilee Party’s Vice chairman. Murathe, who is a close friend of President Uhuru Kenyatta, is among individuals opposed to Ruto’s early campaigns for the Presidency. Last week, Mr Murathe fired a salvo at the Tanga Tanga team, a group of Jubilee politicians supporting Mr Ruto’s presidential bid. “When did the President say he does not support his deputy yet you guys are going around preaching despondency?” he posed. 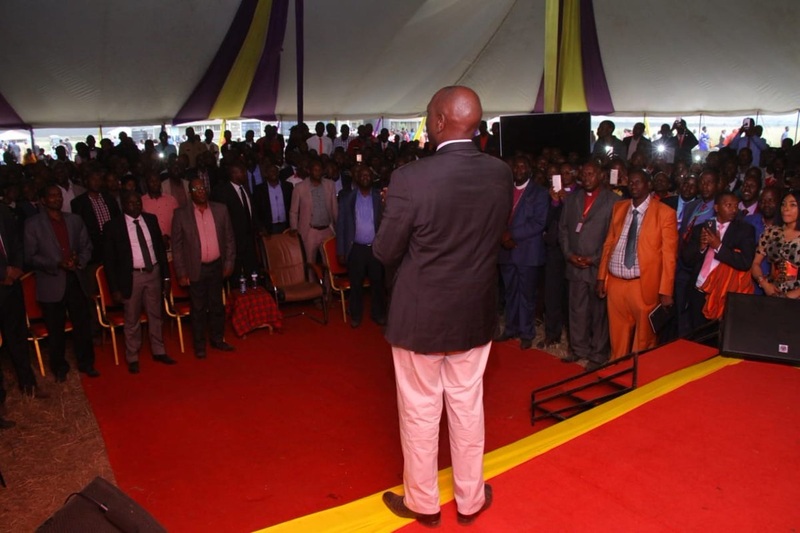 Ruto’s men led by Gatundu South MP, Moses Kuria, have come out with a plan to remove Murathe. Kuria said the Jubilee members want elections to elect leaders of their choice. “In the case of the Big Four, a strong Jubilee is that missile,” Kuria said. “Party elections are long overdue,” Kuria added.